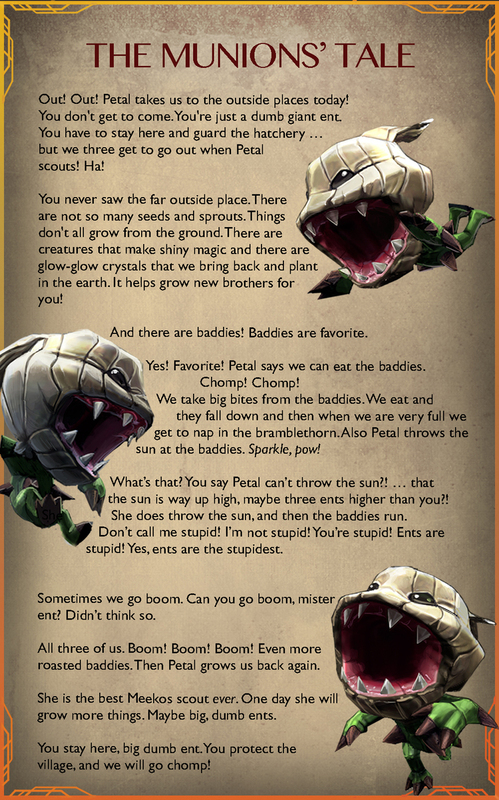 Petal controls three 'munion' pets. Pets have 150 (+95 per level, +40% of crystal) health and 8 (+11 per level, +40% of crystal) damage. Petal's home platform will automatically create seeds that can be sprouted into munions. 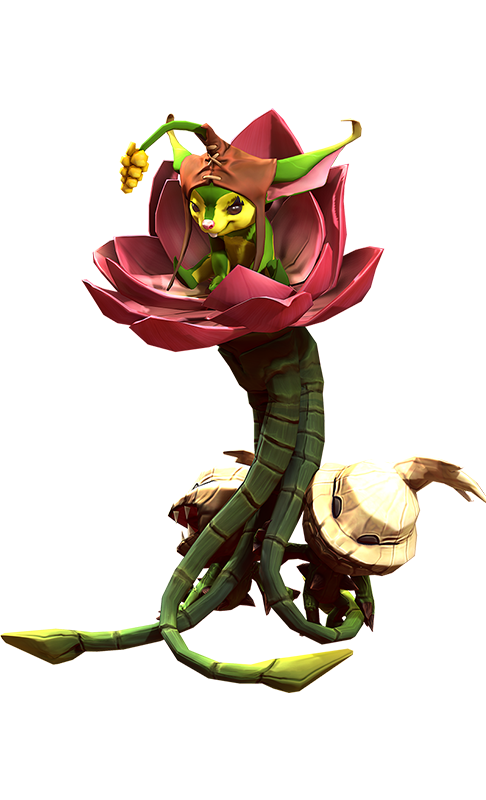 Petal plants a seed right in front of her. Bramblethorn Seeds provide a small healing and armor aura when near them. Healing aura can stack up to 5 times from multiple seeds. Seeds last 2 minutes and do NOT grant vision. Petal sprouts nearby seeds into Bramblethorn Munions that fight for her. Enemies standing on sprouting seeds take damage. Activating this ability will also heal any pets already present. Petal commands her pets to explode one by one, dealing massive splash damage. Pets are invincible during channeling. Detonated pets become Bramblethorn Seeds. “Are you excited about this? Do you think our players will be as well?” I needed to be able to answer “yes” at any point to know I was on track. I of course wanted this art to be desirable, but I was primarily focused on making sure players would get the same enjoyment and excitement out of it as I did working on it. In creating the hive, the lighting and color scheme were very important to harmonize the painting, and I tried to draw inspiration from both cartoon and natural worlds. A flesh-eating fruit with watchful eyes for a throne. Tombstone seeds. Skull munions. And that pumpkin head with candlelit eyes! 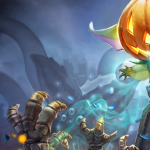 Pumpkin Spice Petal is truly one-of-a-kind, and it’s only available during 1.9. 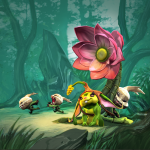 With this skin and the new Petal ability rework, you’ll be that much scarier when invading enemy-side jungle. Petal’s voice will be in the upcoming app update 1.0.12. Here’s a taste of what’s to come!